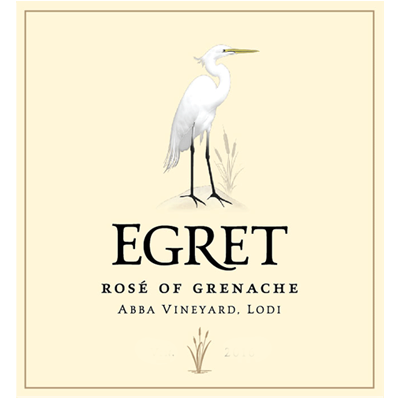 Our Egret Rose was made exclusively from Grenache grapes harvested from the meticulously farmed Abba Vineyard in the appellation of Lodi, California. The wine’s bright pink color is alluring. Intense aromas & flavors of tropical fruit, blood orange & lychee greet you with every sip.